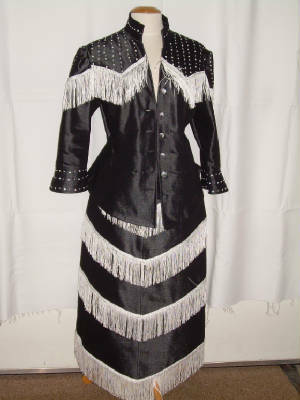 Black denim skirt & jacket has a glossey shine, trimmed w/white fringes, & has beads & sequins at top of jacket front, back, sleeves as well as on cuff of sleeves. Top & asymetric skirt is black denim mixed w/ivory crocheted fabric & trimmed w/black lace. 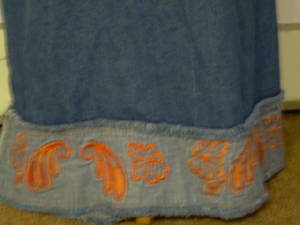 Close up view of denim & crocheted fabric pictured above & below. 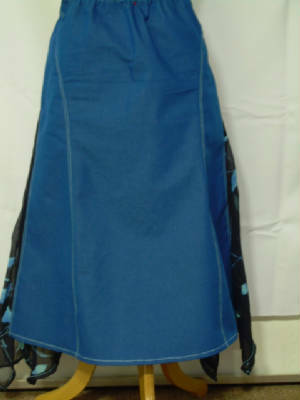 Frayed denim top & skirt mixed w/blue floral sheer fabric. Please use body measurment chart on women/plus size page when ordering. Will exchange merchandise not worn, altered or damaged within 10 days of purchase. 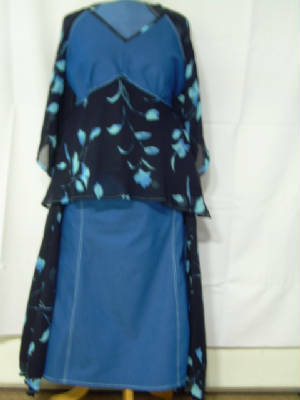 Denim Top & Skirt mixed w/floral navy sheer fabric. 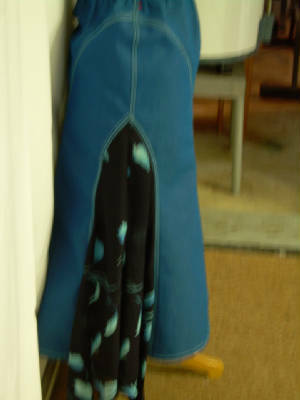 Skirt has asymmetric sheer tails at sides. 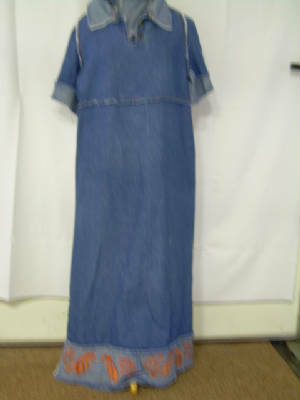 Pullover denim dress w/reversible frayed collar, sleeves & bottom & orange embroidering.